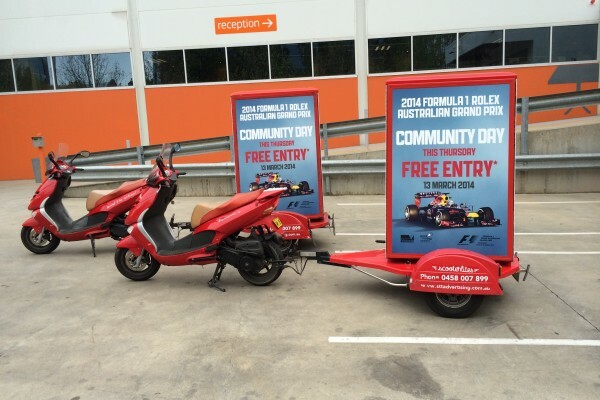 Scooter Advertising is a creative and versatile advertising medium, offering unavoidable exposure with no down-time. 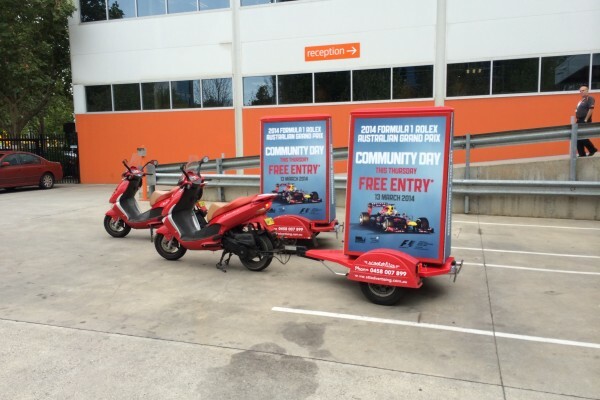 STT have many years of experience running scooter advertising campaigns and can help you boost your brand awareness and exposure. 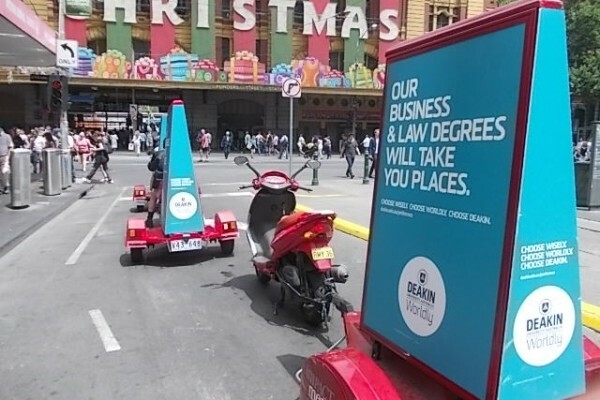 Scooter advertising provides access to exclusive areas that larger format mobile billboards or fixed billboards cannot match. 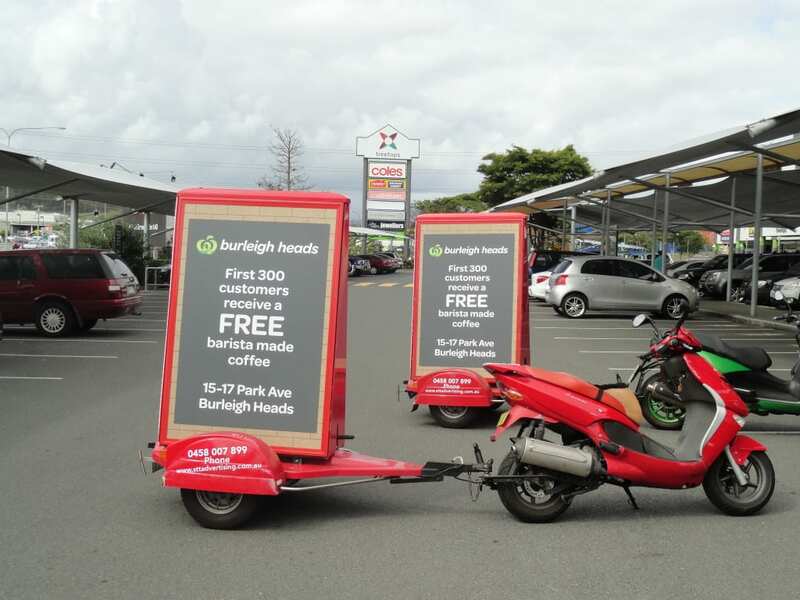 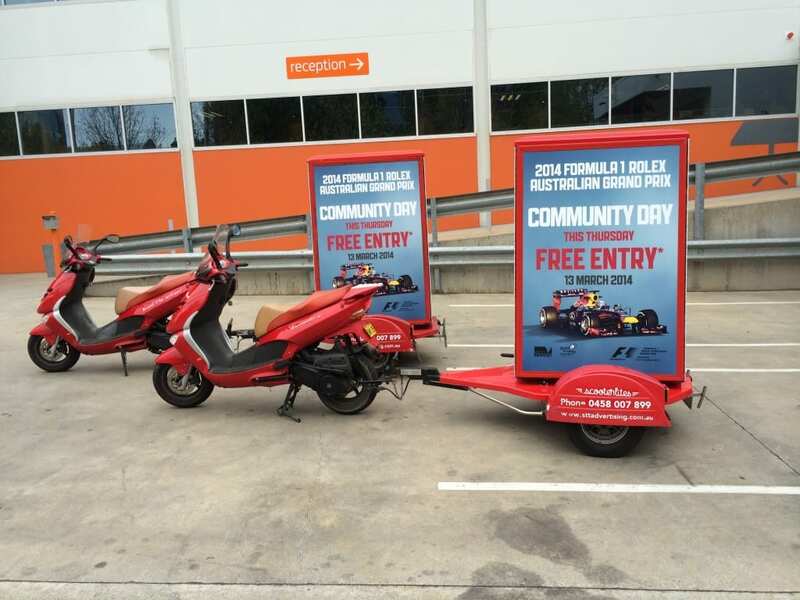 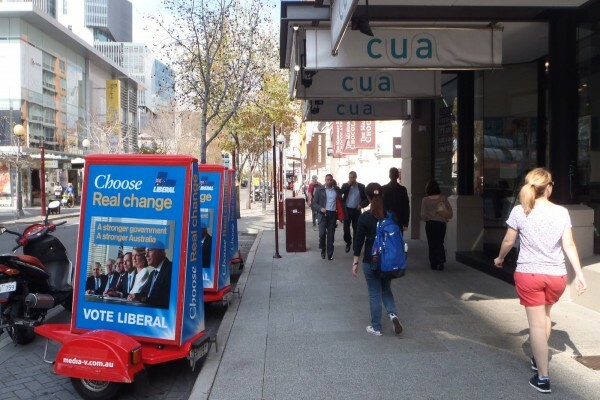 As an added benefit, scooters are extremely environmentally friendly and can hold advertising creative on up to three panels. 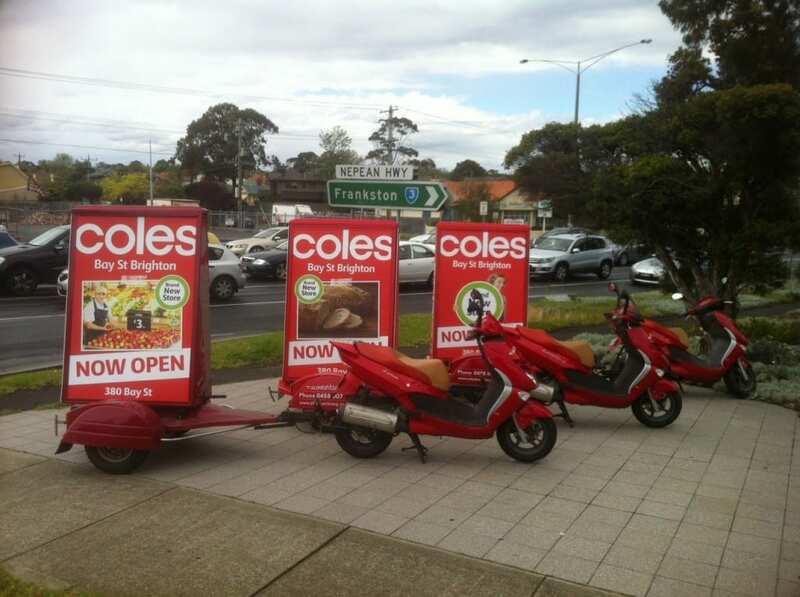 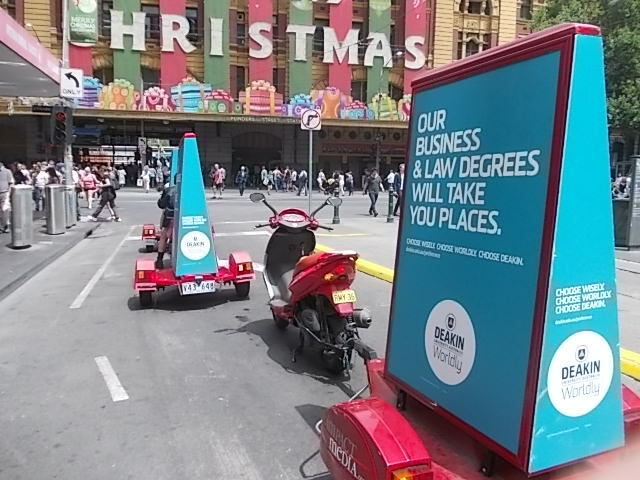 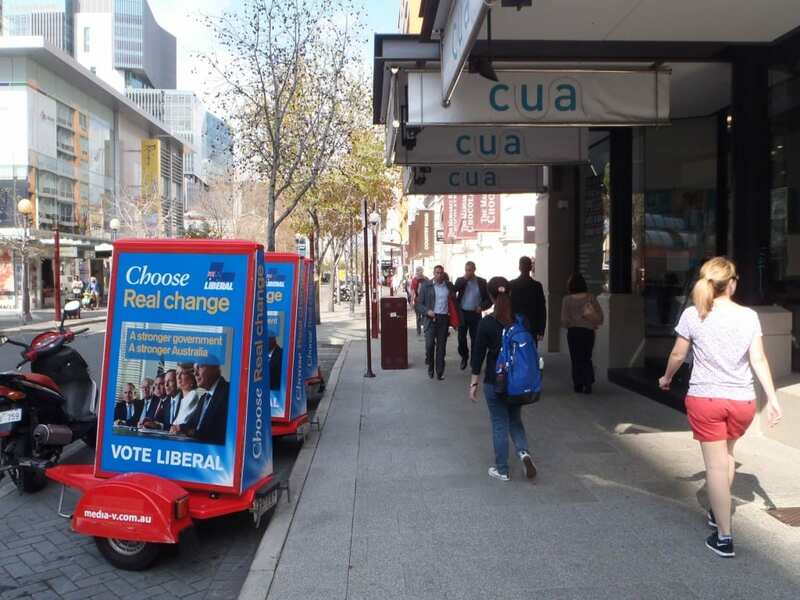 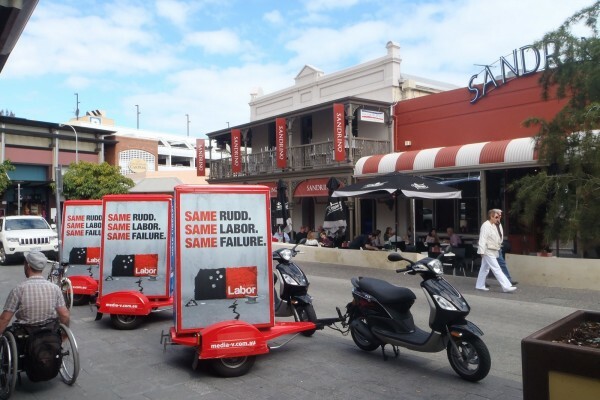 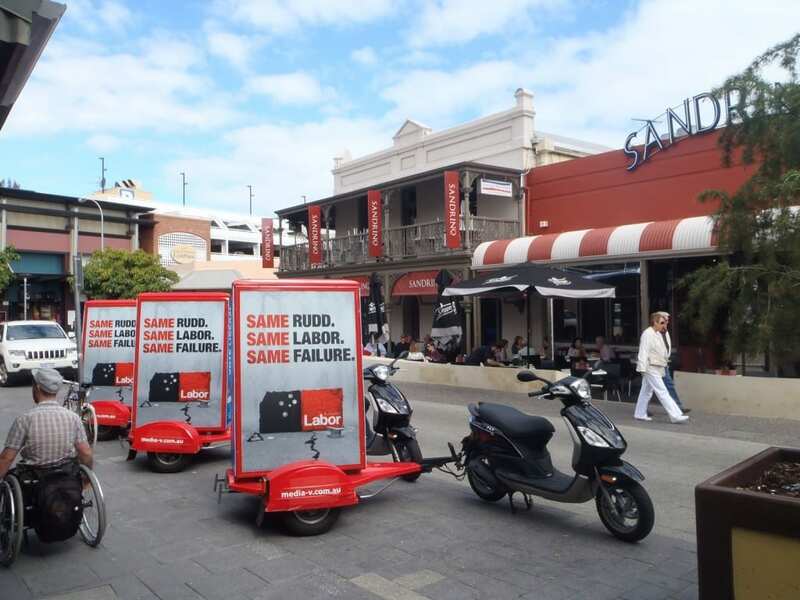 Scooter Advertising is perfect for city streets, crowded shopping strips and built up areas. 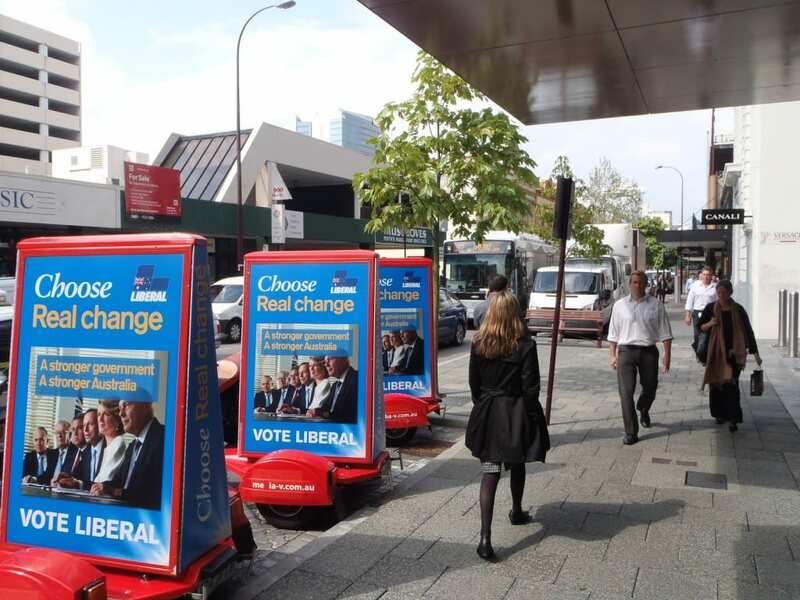 It gives your creative an interactive feel and grabs attention much more efficiently than fixed position advertising. 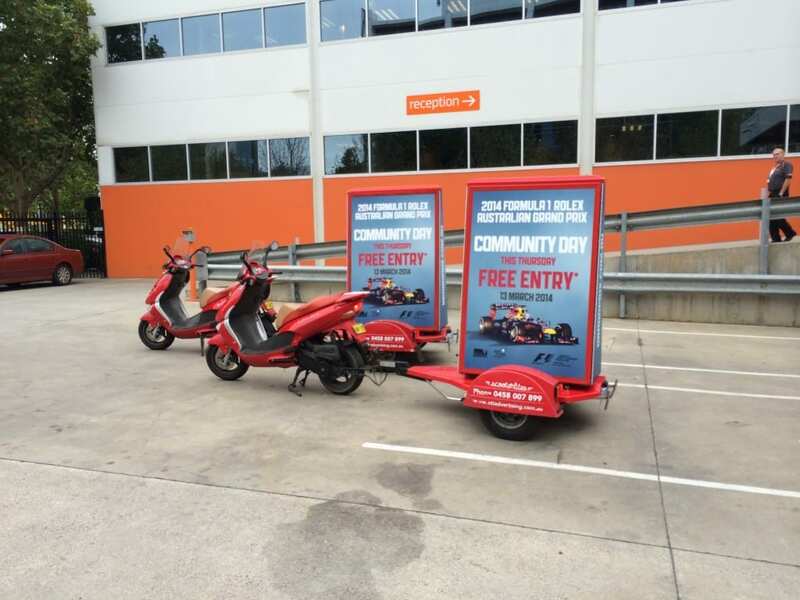 STT Advertising offers the most cost effective rates in the country as well as no minimum campaign period – book for as little as one 4hr day, a week or consecutive weeks. 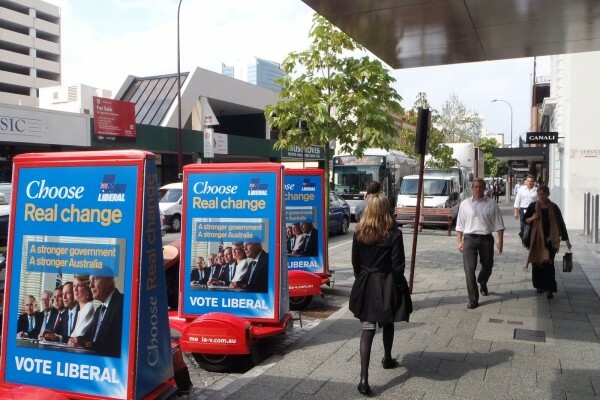 Illumination – The side panels can be back lit making it possible to run evening campaigns. 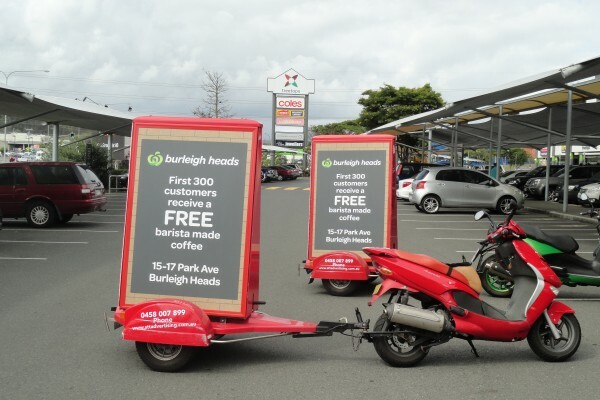 Advertise your brand on three panels, capturing attention from every angle. 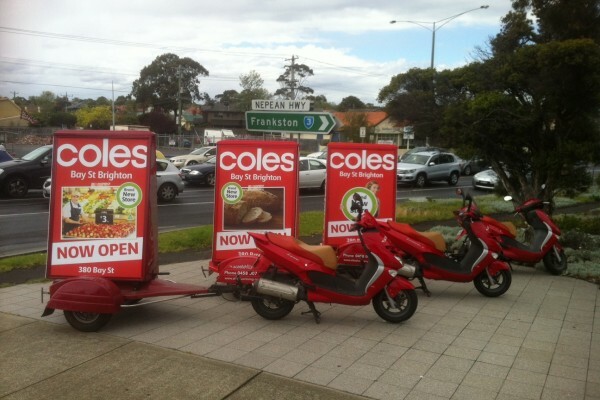 Pair Scooter Advertising with our other services to maximise the effectiveness and efficiency of your campaign!